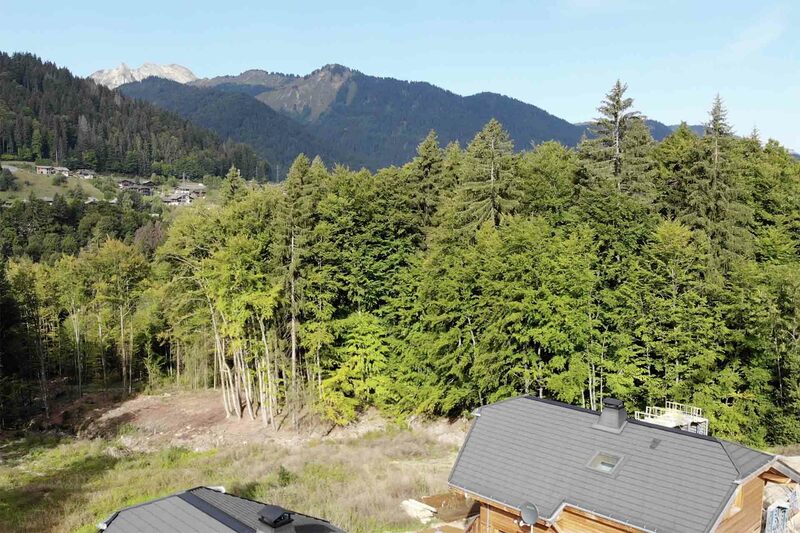 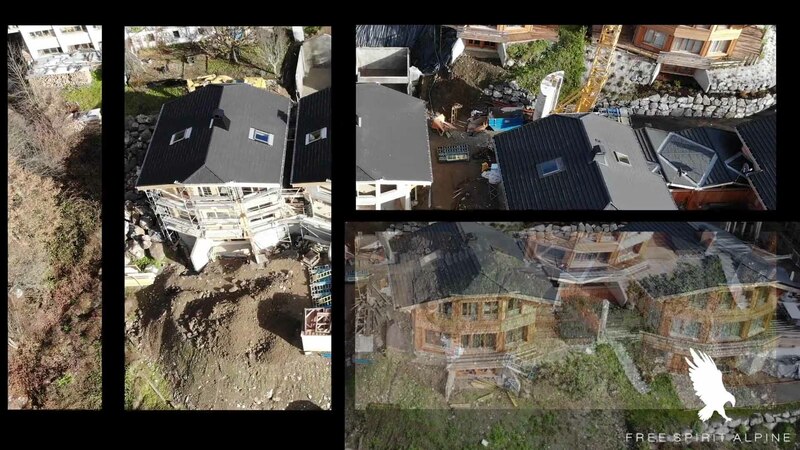 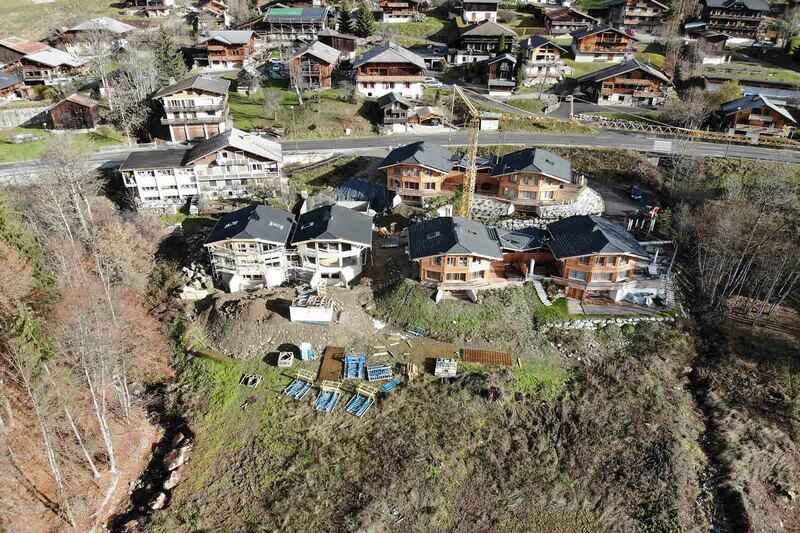 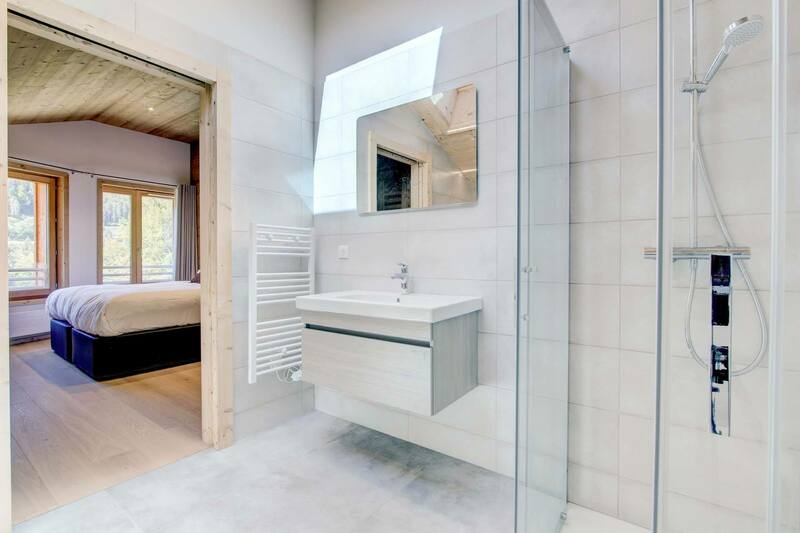 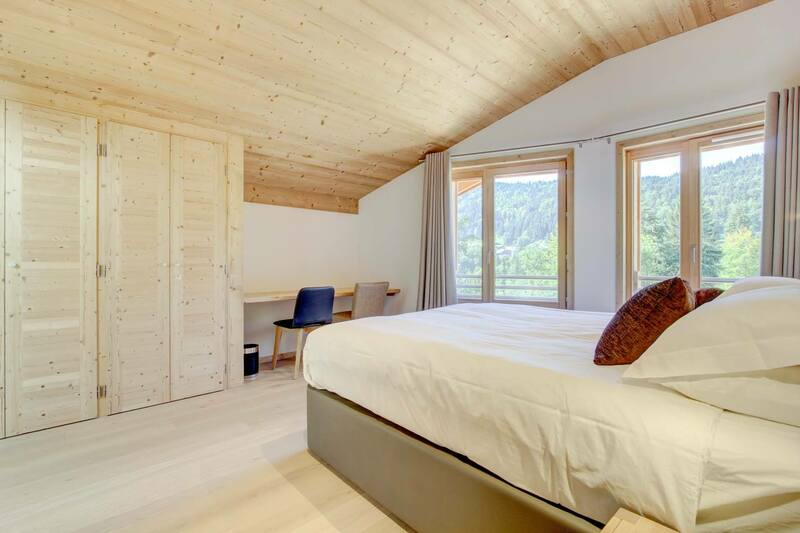 A brilliantly located chalet development, walking distance to the center of Morzine and just 900 m from the Super Morzine cable car. 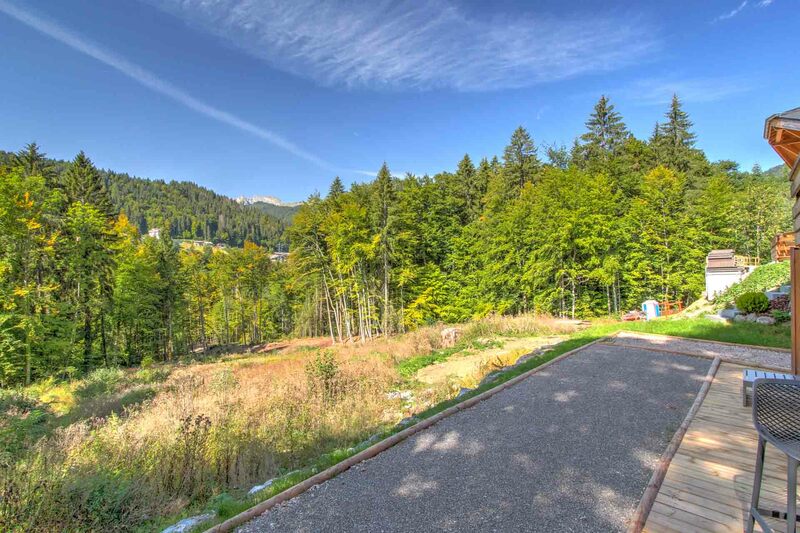 This south west facing plot, tucked away from the main road, encompasses the forest with beautiful views of the valley and surrounding mountains. 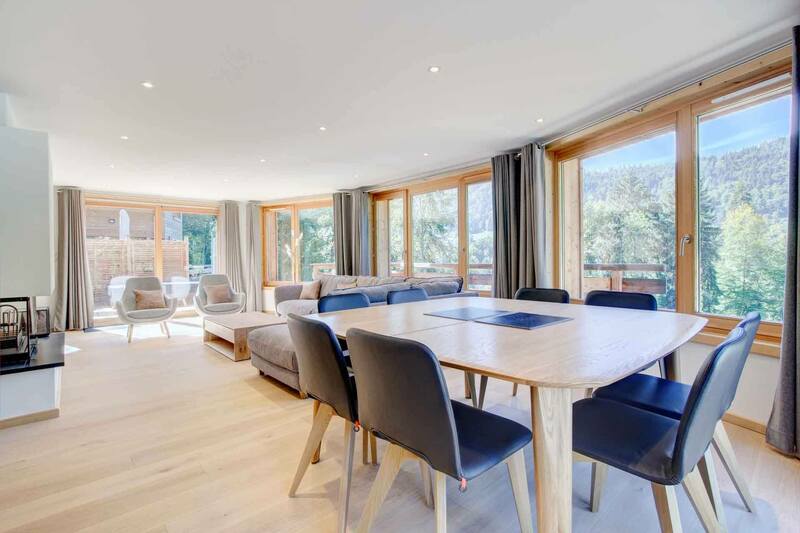 A contemporary design by a local architect and builder, this is the last chalet to be sold in the development. 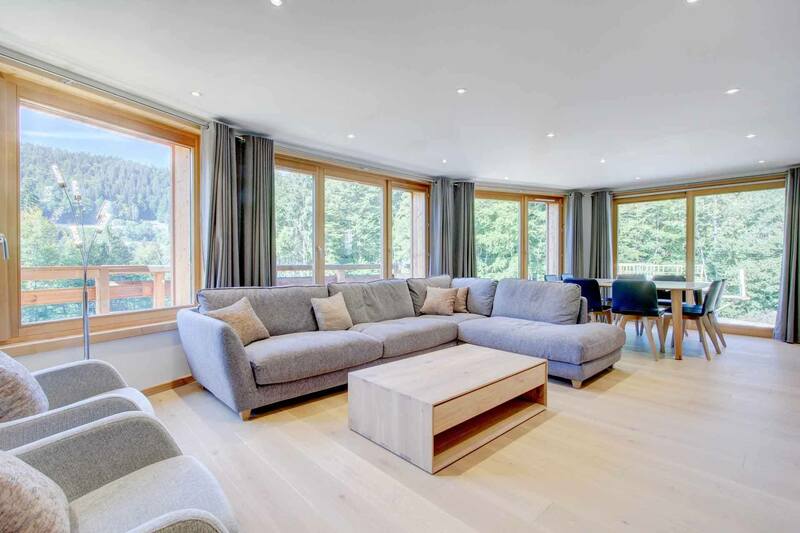 Over three floors with six bedrooms and four bathrooms, with a whole floor dedicated to a stunning and spacious open plan kitchen/dining and living room, with elegant windows showing off the spectacular vista, also visible from the master bedroom. 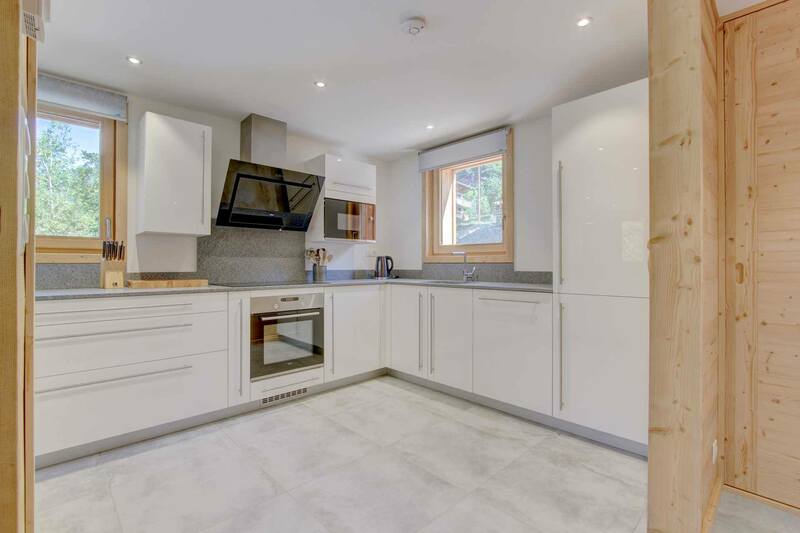 On the lower floor, you will find two ensuite bedrooms and a utility/boot/bike room, and a spare room that can be a gym or cinema room. 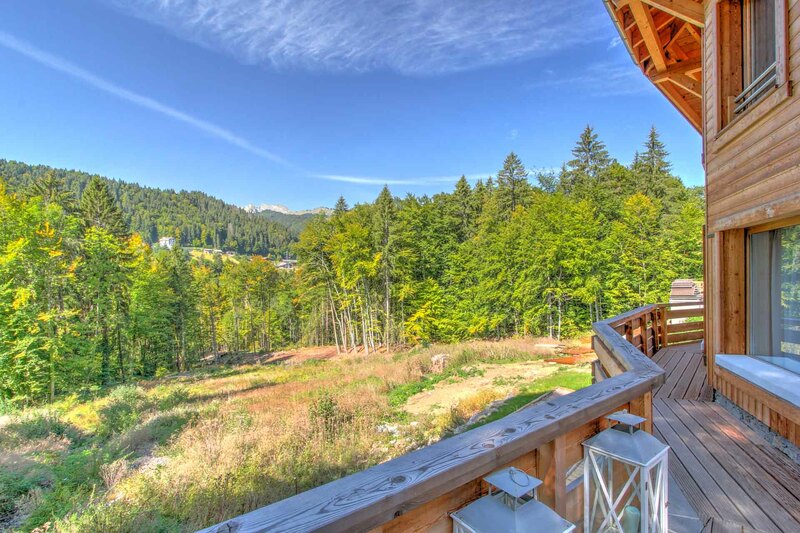 The top floor has four bedrooms designed with space in mind and big windows. The twin chalets are connected, however completely independent. 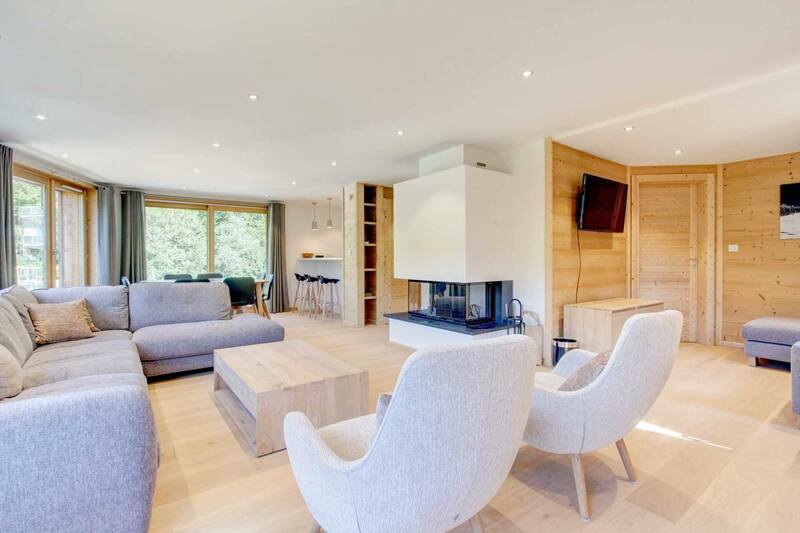 As the chalet is still under construction you have the potential to modify the interior, and the architect is happy to discuss all possibilities. 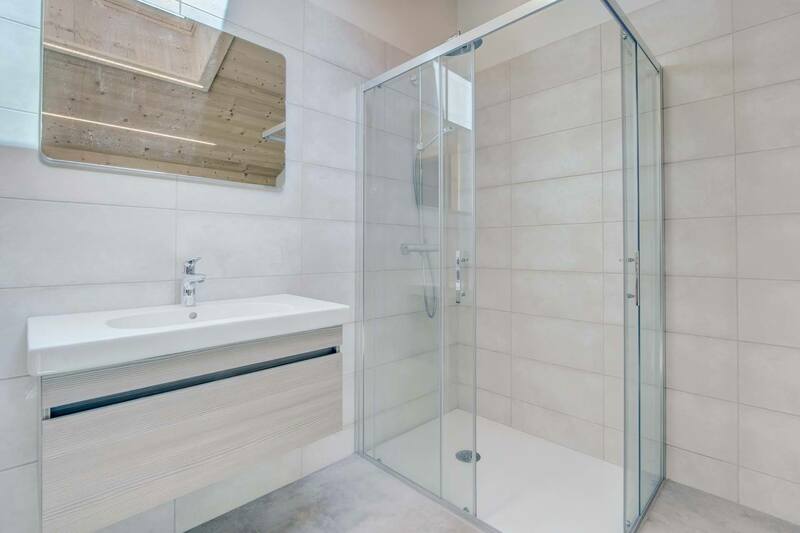 Please note: The Photos show the interior of a completed property in the same development.